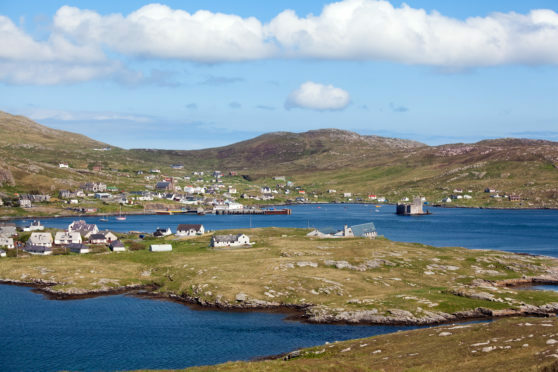 Passengers in Barra were left stranded yesterday. It might be one of the most expensive and largest vessels in the Scottish fleet, but yesterday islanders were left scratching their heads when a simple fisherman’s creel was said to have brought the Barra boat to a standstill. By lunchtime today, it is hoped divers, who have been dispatched from the mainland, will be able to free the MV Isle of Lewis and get her back to her day job of taking people from Oban, over the troubled waters of The Minch to Castlebay on the Isle of Lewis, and back again. The MV Isle of Lewis is a Scottish ro-ro ferry, owned by Caledonian Maritime Assets Limited, and operated by CalMac. The island’s MP, Angus Brendan MacNeil said: “These things happen of course, but the real issue is the amount of time it will take to clear it. “Businesses like Barratlantic who are selling seafood to Europe will have a real difficulty getting stuff to Glasgow in time for it to be taken onwards. He confirmed the debris was a creel. The MV Isle of Lewis was built at Ferguson’s shipyard in 1995, and she remains one of only two ships in the CalMac fleet over 328 ft in length, the other is the Loch Seaforth. Originally built to operate between Ullapool and Stornoway, but since March 2016, she serves the Isle of Barra all year round from Oban.